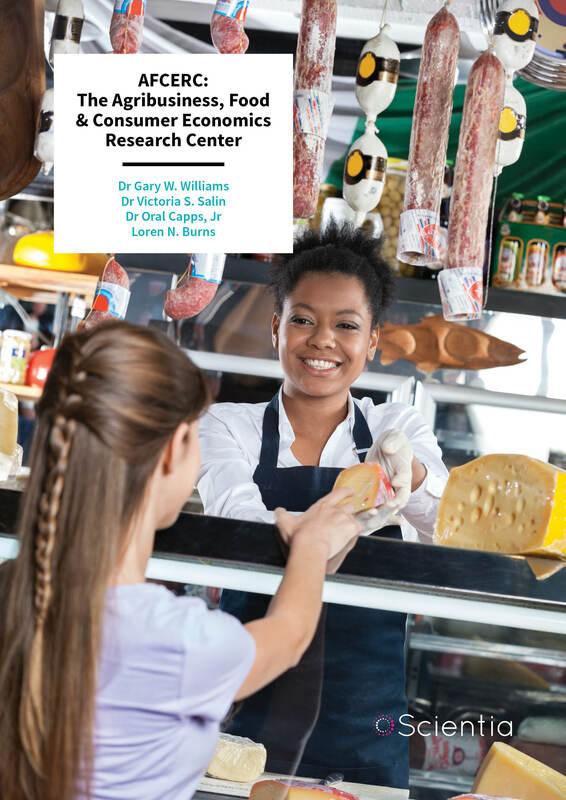 Research investigating the economic, social, psychological and physiological factors that influence consumers’ food choices can help in gaining a better understanding of how individuals select particular foods. The Agribusiness, Food, and Consumer Economics Research Center (AFCERC) at Texas A&M University addresses practical problems affecting the agribusiness community, both domestically and globally. AFCERC researchers provide analyses, strategic planning, business analytics, and forecasts of market conditions that impact US and international agricultural and food industries. Obesity is one of the most pressing health issues in the United States as well as in many other countries worldwide. Around two-thirds of the US adult population is currently overweight or obese, in addition to a growing number of children and adolescents. Being overweight and obese can increase the risk of developing a series of severe conditions, including cardiovascular diseases, strokes, high blood pressure, diabetes, and cancer. In addition to environmental, genetic and lifestyle-related factors, this upsurge in obesity rates might also be caused by the consumption of unhealthy food and beverages. A number of researchers argue that the high obesity rates in the United States are associated with increases in the consumption of sugar-sweetened beverages and snacks. As a result, some policymakers have suggested increased taxes on these products. The American Beverage Association opposes this idea, arguing that obesity is a very complex problem that should be addressed with a comprehensive plan, educating the population on nutrition. An effective solution to tackle the issue of obesity has yet to be devised. Therefore, research exploring the mechanisms behind consumer choices is of key importance, as it could inform policy makers and industry groups on how to best promote the consumption of healthier food products without hindering the economy. It is therefore of crucial importance for researchers to gain a better understanding of the economic, social, psychological and physiological factors that lead individuals to select particular products. Food consumption and the nutritional quality of people’s diets are jointly determined by income, prices, advertising, and a variety of other factors. Research studies that investigate the impact of these elements could ultimately lead to more effective agricultural and food policies that best allocate resources to ensure a safer, affordable and nutritious food supply. The Agribusiness, Food, and Consumer Economics Research Center (AFCERC) at Texas A&M University carries out research into the agricultural, agribusiness and food industries. The aim of this research is to provide input to improve strategic decision-making at all levels of the food and drink supply chain, from producers to processors, wholesalers, retailers and consumers. AFCERC is a research and outreach organisation of Texas A&M AgriLife Research and is part of the Department of Agricultural Economics at Texas A&M University. The Center was first established as a market research service of the Texas Experiment Station and the Texas Extension Service in 1969, under the name of the Texas Agricultural Market Research and Development Center. After 1988, it became known as the Texas Agribusiness Market Research Center, and a formal change to its current name was approved in 2010. The faculty members who are primarily responsible for the Center’s day-to-day operations include Dr Gary W. Williams, Dr Oral Capps, Jr, and Dr Victoria S. Salin, but the AFCERC team also consists of a number of other professional researchers and associates. AFCERC’s main mission is to carry out timely, high-quality, and objective research that could support policy-makers and industry experts in their decision-making process, helping them to devise informed and effective strategies. The Center also provides analyses, strategic planning, business analytics, and forecasts of market conditions impacting both US and global agricultural, agribusiness and food industries. The Center’s main topics of interest can be divided into three categories: agribusiness and markets, health and nutrition, and consumer research. AFCERC’s studies in agribusiness and markets explore aspects such as logistics, distribution, concentration, industrialisation, strategic management and pricing strategies. Additionally, attention is devoted to evaluations of the effectiveness of agricultural checkoff programs mandated by the U.S. Congress. In the area of health and nutrition, AFCERC researchers place a particular focus on obesity and its associated factors, as well as issues concerning food safety, child nutrition and public interest such as proposed taxes on sugar-sweetened beverages, proposed changes in the Special Supplemental Nutrition Program for Women, Infants, and Children (WIC), and the economic and social costs associated with mislabelling food and beverage products. Finally, the Center also conducts extensive consumer research focusing on areas related to dairy products, beverage products, the purchase patterns of consumers according to various socio-demographic profiles, food safety, and food advertising and promotion programs. ‘While we do work on many facets of research, our prominent projects deal with consumer demand analyses of various products, particularly dairy products and non-alcoholic beverages as well as evaluations of the effectiveness of commodity checkoff programs (advertising and promotion programs for various agricultural commodities),’ explains Dr Capps. AFCERC has a number of important domestic and International clients, including various agricultural commodity Boards (notably the Cotton Board, the United Soybean Board, and Dairy Management, Inc), the Kellogg Company, Dow Chemical Company, John Deere, the Norwegian Seafood Council, and countless other groups. The research and outreach programs carried out by AFCERC are primarily aimed at exploring challenges related with encouraging healthier food consumption while also growing the economy. Key findings are then disseminated among policy makers, agricultural producers, processors, commodity organisations, rural communities, food industries, government agencies, and other important stakeholders. The team provides quantitative/statistical analyses based on data gathered from Information Resources, Inc. (IRI), Nielsen, the NPD Group, Inc. (NPD), the United States Department of Agriculture (USDA), and various other organisations. Spanning across a wide variety of topics, AFCERC’s research includes studies of the drivers for demand of food products, catering to time-starved as well as health-conscious consumers, ascertaining the effectiveness and effects of food advertising, assessing the impacts of food safety, understanding consumption patterns of particular socio-demographic groups, and much more. To assess the possible benefits and limitations of taxing sugar-sweetened beverages, analysts at the Center have carried out extensive research into these products. Their analyses suggest that decreases in consumption of sugar-sweetened beverages would be relatively small as a result of the proposed taxes, while market revenues would diminish substantially. These studies highlighted the need to consider demand interrelationships among various non-alcoholic beverages, not just sugar-sweetened beverages, particularly when assessing the effects of tax strategies. The researchers involved also suggested that imposing a tax on sugar-sweetened beverages may not be a very effective way to alleviate U.S. obesity rates. Another example of research carried out by AFCERC is a thorough analysis of the energy drinks market. For this investigation, researchers gathered information from a retailer located near the Texas A&M campus to estimate demand relationships for major energy drinks brands. 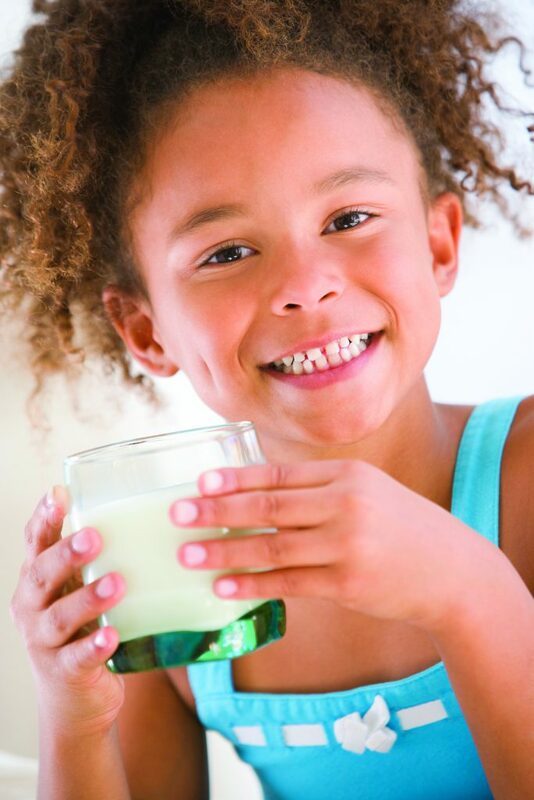 AFCERC researchers are also carrying out demand analyses for milk, organic milk, and dairy-alternative beverages in the United States. Their aim is to identify factors that might affect the volume of these beverages purchased, calculating own-price, cross-price, and income elasticities for dairy products and non-dairy alternatives, and suggesting possible retail-pricing strategies. In terms of research investigating the effects of advertising and promotion, one of AFCERC’s recent studies assessed the impact of support programs run by agricultural promotion groups. The study in question evaluated 27 major generic advertisement programs aimed at promoting the economic welfare of agricultural producers by financing activities that could increase demands for their commodities. The research team concluded that these programs have actively enhanced profits of associated stakeholders, initiating important multiplier effects through the economy as well as generating notable rates of returns, new jobs, and greater income. The eating and drinking habits of human beings have continuously evolved throughout history, affected by a multitude of economic, social, environmental, psychological and physiological factors. In recent years, the significant rise in US obesity rates, with all associated health issues, has highlighted the need to better understand the mechanisms behind consumer choices, in order to devise effective ways to encourage the consumption of healthier foods without damaging the industry. Research and outreach initiatives carried out by AFCERC have contributed to informing government agencies as well as other organisations operating in the agricultural, agribusiness, and food industries about important areas of the food and drink economy. Through its many research studies and industry collaborations, AFCERC has become a leading source of knowledge on the process by which food reaches consumers and on what products could positively contribute to the population’s health and safety. AFCERC distinguishes itself from other domestic and international academic organisations through its research and services designed to address practical problems, use of state-of-the-art quantitative/statistical techniques, and development of partnerships within the private sector. Market analyses, evaluations, and in-depth studies carried out by researchers at the Center have helped to better understand a variety of aspects related to the food and beverage industry. 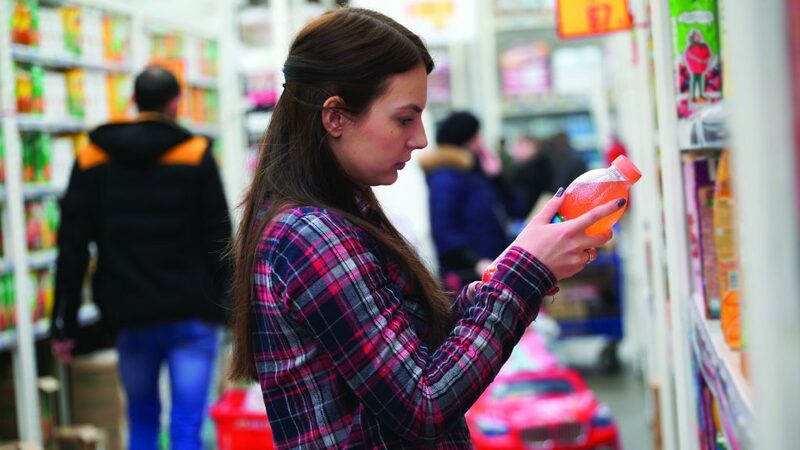 For instance, AFCERC’s research has shed light on the dynamics behind product demand, assessed the possible consequences of taxing sugar-sweetened beverages, evaluated the effectiveness and the impacts of advertising and promotion initiatives, and helped to better understand price spreads of particular types of products. The Center has also carried out studies that could help industry representatives to better understand food consumption patterns of particular demographic groups, such as low-income populations, adolescents, pre-adolescents, pre-school children, or elderly populations as well as Hispanic and Muslim populations. Overall, AFCERC’s work has led to the development and expansion of alternative methods of estimating demand relationships based largely on economic forces, socio-demographic factors, health, nutrition, and other elements associated with the food and beverage industry. To this end, this effort rests on the use of the best available data as well as state-of-the-art statistical techniques. ‘The set of research ideas and their operationalization will ultimately translate into increased benefits to the food industry, both tangible and intangible,’ says Dr Capps. Dr Gary W. Williams is Co-Director and Chief Operating Officer of AFCERC, responsible for managing the centre’s research program. He holds a PhD and an MS in Agricultural Economics from Purdue University, as well as a BS in Economics from Brigham Young University. Dr Williams is also a Professor of Agricultural Economics at Texas A&M University. He previously worked as a Professor and Assistant Coordinator of the Meat Export Research Centre at Iowa State University, as Senior Economist at Chase Econometrics, and as an agricultural economist for the US Department of Agriculture. Dr Williams leads AFCERC projects related to commodity, agribusiness markets, trade, and policy. Dr Victoria S. Salin is Co-Director and Chief Financial Officer of AFCERC, responsible for managing the centre’s budget, staffing, and day-to-day operations. Dr Salin holds a BA in Political Science and History from Miami University and an MA in Government and Foreign Affairs from the University of Virginia. She was awarded her PhD from Purdue University in 1996, for a project focused on agribusiness finance and international trade. 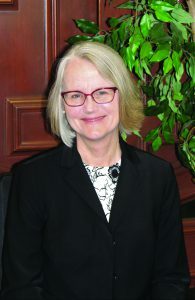 She is currently a Professor of Agricultural Economics at Texas A&M University, Chair of the Intercollegiate Faculty of Agribusiness, and Director of the Master of Agribusiness Program. She previously held positions in industry and at the US Department of Agriculture. She leads AFCERC projects related to food safety, traceability, logistics, and strategic management. Dr Oral Capps, Jr is Co-Director and Chief Resource Development Officer of AFCERC. He attained a PhD and an MS in Agricultural Economics, an MS in Statistics, and a BS in Mathematics from Virginia Tech. 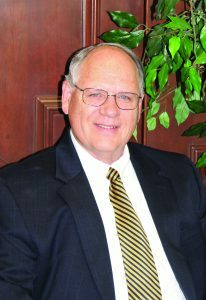 Dr Capps holds the Southwest Dairy Marketing Endowed Chair and is a Regents Professor of Texas A&M University. He is nationally and internationally recognised as a leader in demand analysis with particular expertise in econometric modelling and forecasting methods and has served on the Board of the Agricultural and Applied Economics Association, as well as being the past President of the Food Distribution Research Society. He leads AFCERC research programs related to food industry performance, pricing, and consumer behaviour. 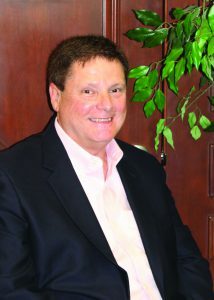 Loren N. Burns is the Program Manager of AFCERC at Texas A&M University. She received her BSc in Agribusiness with a Minor in Agricultural Economics from Texas A&M University. Burns is responsible for managing the day-to-day operations of the Center, as well as maintaining account records that include directing authorisation and allocation of funds. She interacts with external and prospective clients to successfully define parameters, transaction terms, and limitations surrounding research projects. She also edits and composes many different types of complex documents in addition to compiling and presenting periodic financial reports to meet the needs of the Department and University System. 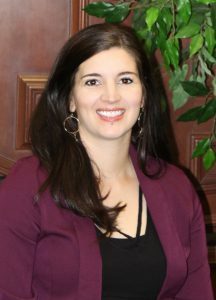 Prior to joining the Department of Agricultural Economics, Ms Burns was a Proposal Administrator at both the Texas A&M Research Foundation and the Texas A&M University System Sponsored Research Services.